Armed with nine 16-inch/45 caliber guns in three turrets and twenty 5-inch/38 caliber guns in ten twin mounts, the USS NORTH CAROLINA (BB55) was once considered the world’s greatest sea weapon. As the first newly designed American battleship constructed in 20 years, the NORTH CAROLINA was built using the latest in shipbuilding technology at a cost of $78 million. However, the NORTH CAROLINA was in active service for only 6 years from 1941 to 1947. The vessel was decommissioned after World War II and placed in the Inactive Reserve Fleet in Bayonne, New Jersey, for the next 14 years. Eventually the vessel was turned over to the USS NORTH CAROLINA Battleship Commission and established as a permanent memorial and exhibit for the state’s World War II veterans. The 728 foot Battleship arrived in her current berth in Wilmington, North Carolina in 1961. The NORTH CAROLINA has not been dry docked since 1947 and over time the hull has shown signs of deterioration with the starboard bow having the most significant need for repair. 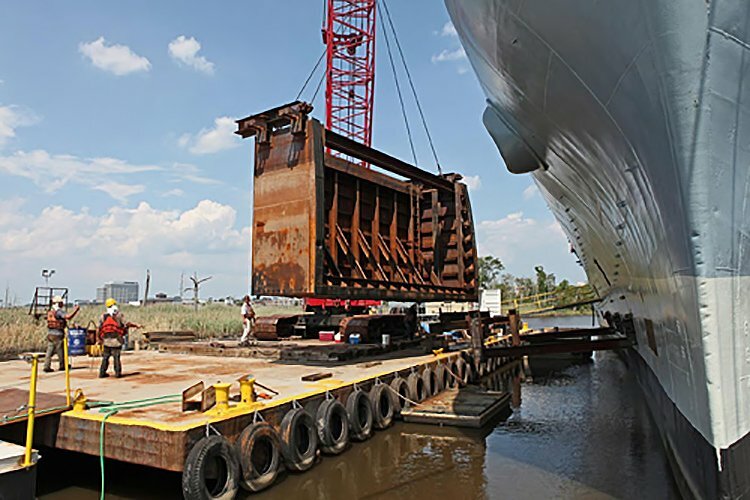 Due to JMS’ expertise with diving, salvage and ship husbandry, JMS was selected by the project manager, Joe Lombardi of Ocean Technical Services to develop a concept of using a portable cofferdam system to make the repair work possible without the costly expense of placing the ship in dry dock. This solution would also allow the vessel to remain open to the public during the restoration project. 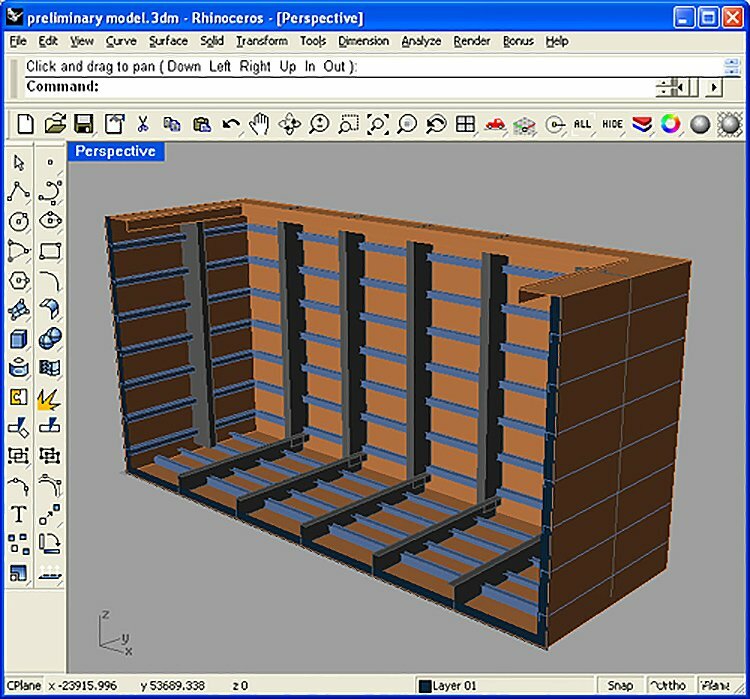 JMS engineered and designed the custom-made steel cofferdam in accordance with the US Navy Underwater Ship Husbandry manual, Chapter 16. 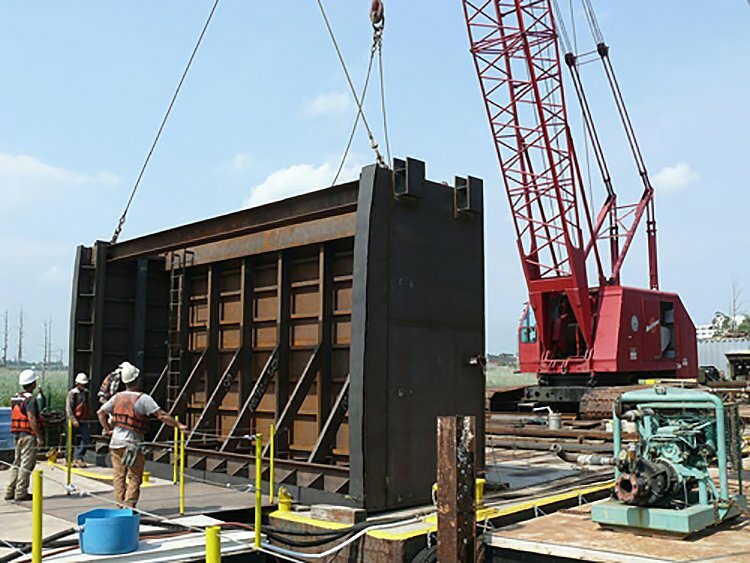 JMS also provided a technical manual for the guidance on the safe operation and maintenance of the cofferdam.